Exceptional Foundation participants enjoy educational and recreational activities, creative art expression and age-appropriate field trips. The Exceptional Foundation of East Alabama provides year-round services for up to 40 hours per week to individuals with intellectual and developmental disabilities that are no longer served in the school system. Participants enjoy educational and recreational activities, creative art expression and age-appropriate field trips. 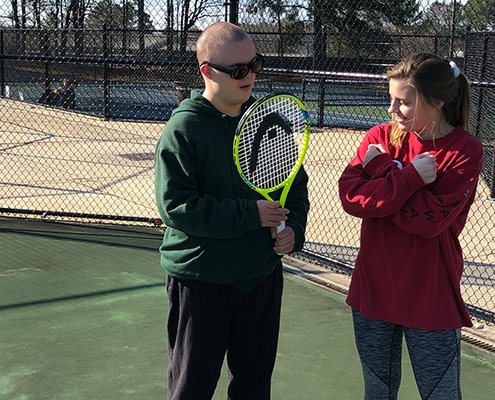 Each day, The Exceptional Foundation of East Alabama works to enhance the lives of our participants through a variety of activities and provides An Exceptional Community of Friends. Participants of The Exceptional Foundation of East Alabama are engaged through educational activities every day. These activities are tailored to the individual and his or her specific needs, and work to expand social interactions, daily living skills and community involvement. 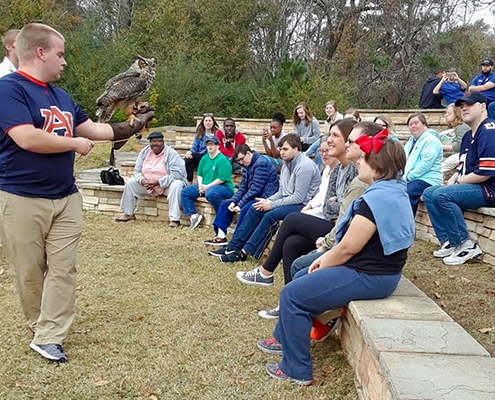 Our staff partners with interns and practicum students from Auburn University and Tuskegee University to provide well-rounded educational activities that challenge the mind, while being sensitive to each individual’s needs. At The Exceptional Foundation of East Alabama, we love to have fun! Participants enjoy numerous daily recreational activities to work their bodies as well as their social skills. We offer a variety of indoor and outdoor activities tailored to each individual’s needs. Participants love utilizing the facilities at HealthPlus, including the indoor track and indoor swimming pool. Some of our favorite activities are those that allow participants to show off their creative sides! Our staff works to engage the mind, body and senses of each participant through a variety of creative arts. 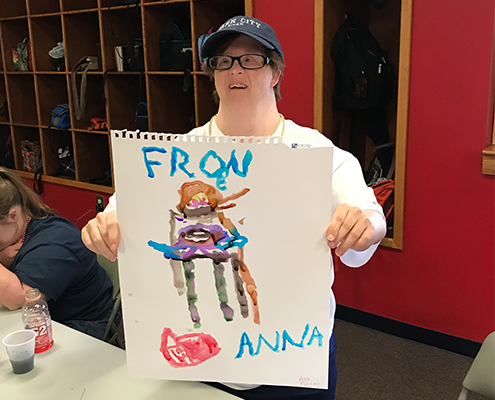 Our participants love sharing their creations with family and friends, and build confidence, social skills and a sense of community through many of these activities.